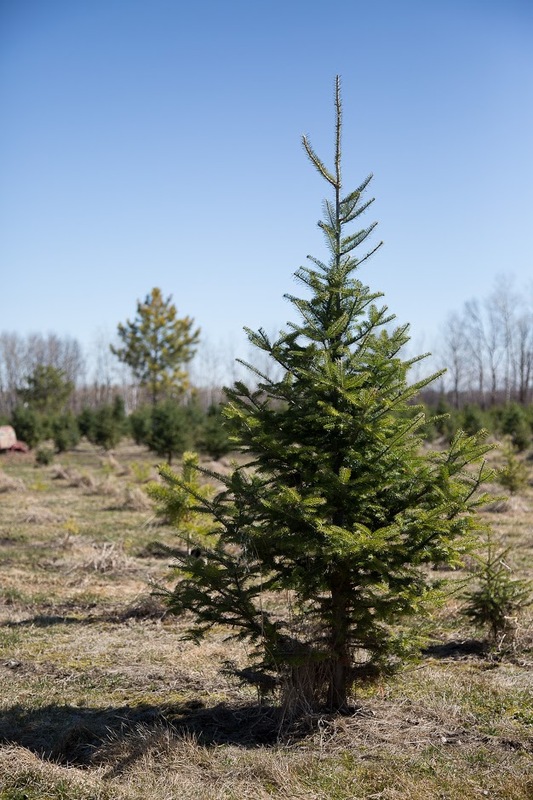 Country Pines Tree Farm grows mostly White Spruce (Manitoba’s provincial tree), Scots Pine, Balsam Fir and some exotic trees like Meyers Spruce that can handle our Manitoba climate. Our farm is a landscape and Christmas tree operation. When trees gets too big to spade as a landscape tree, we offer it as a Christmas tree. Every spot on our farm has a tree growing.  At Country Pines Tree Farm, our landscape trees are spaded twice per year. Spring spade is from mid- to end of April and the Fall spade is done from mid-August to mid-October. You pick the tree—we spade, cage, burlap and load the tree onto your trailer. For DIY-ers, we have tips and guidelines to help with the planting. Nothing says ‘Christmas’ like crisp country air and fresh pines. 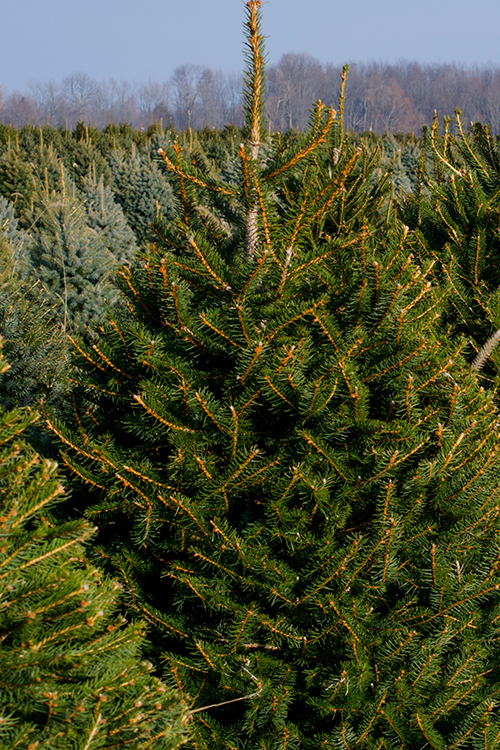 Country Pines Tree Farm offers a few choices for your Christmas tree selections. CHOOSE & CUT YOUR OWN: Bring the whole family, take a tour of our farm and choose your own tree! 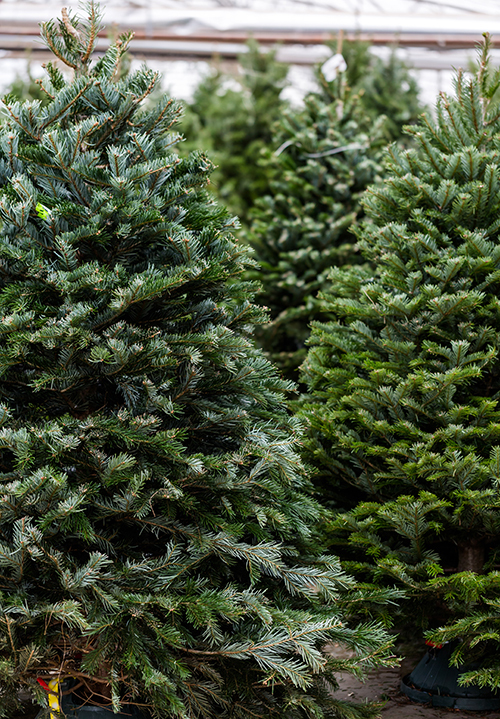 PICK A PRE-CUT TREE: Choose between Balsam, Fraser Fir or White Pine. The Meyers Blue Spruce (or Chinese Blue Spruce) has rich blue-green needles. They are a popular choice for ornamental accent trees, windbreaks and shelterbelts. The Meyers Spruce is very tolerant of humidity and drought, disease resistant, and can survive in a variety of soil types, as long as healthy drainage is available. For the best chance of survival, Meyers Spruce trees should be planted where they receive at least 6 to 8 hours per day of direct sunlight. They can grow to more than 40 feet tall, 30 feet wide, and live up to 80 years, so ensure the location you choose can accommodate the size of a mature tree. 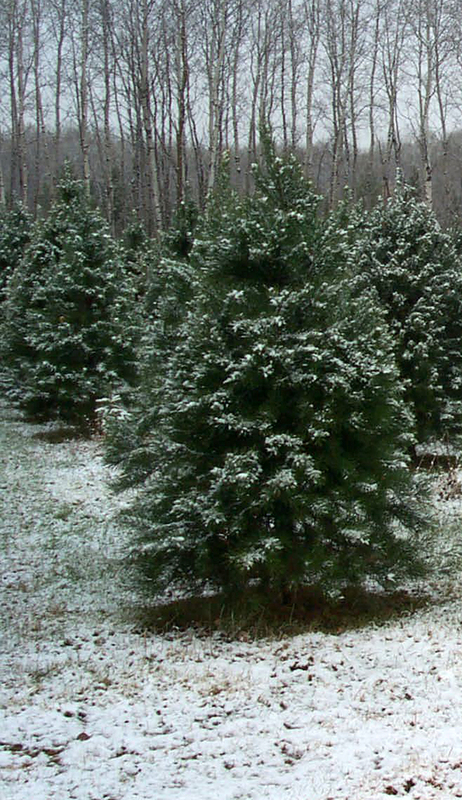 White Spruce trees grow into a grand, pyramidal shape and has thick light-green needles. White Spruce are incredibly tolerant trees and provide both ornamental and functionality in colder climates, and will grow in every soil condition from dry, wet and acidic soils. It will survive freezing, snow storms and moderate summers. White Spruce trees can grow to be 40 to 60 feet and 10 to 20 feet wide. It loves full sun and has a moderate growth rate. For Christmas, the White Spurce provides more fragrance and needles don’t shed as much as other trees. The Scots Pine tree (or Scotch Pine) grows to a medium-large tree and has a distinctive copper-orange bark when mature. They can live from 50 to 100 years and can reach up to 60 feet high and 16 feet wide. Scots Pines has superior needle retention, and is perfect for shelterbelts, erosion control and thermal cover. The Scots pine loves dry sites, especially sandy soils and can survive drought conditions. Plant these trees in full sun for healthy beautiful trees. Balsam Fir trees are one of the most common tree species in North America and is the tree of choice at Christmas. They receive high praise for their color, hardiness and spicy fragrance. A mature Balsam can reach from 45 to 75 feet in height and 20 to 25 feet wide. It has a slow growth rate, less than 1 foot per year, and prefers a minimum of 4 hours of direct sunlight each day. Balsam trees prefer moist, cool, well-drained acidic soil.